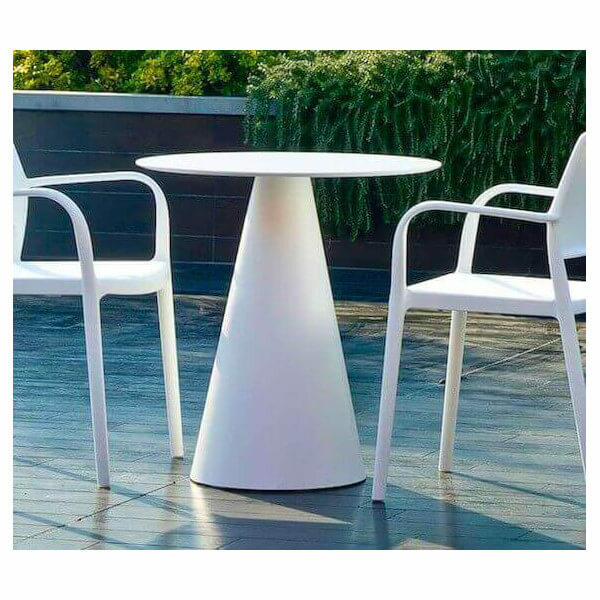 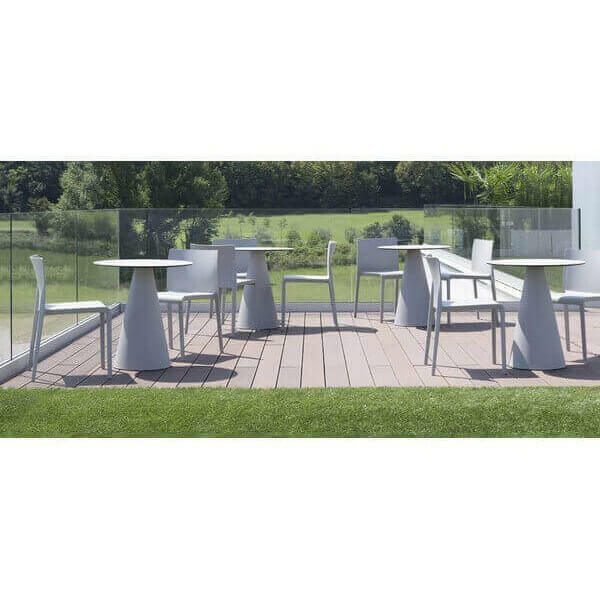 The white Ikon table published by Pedrali is defined by simple shapes and clean lines. 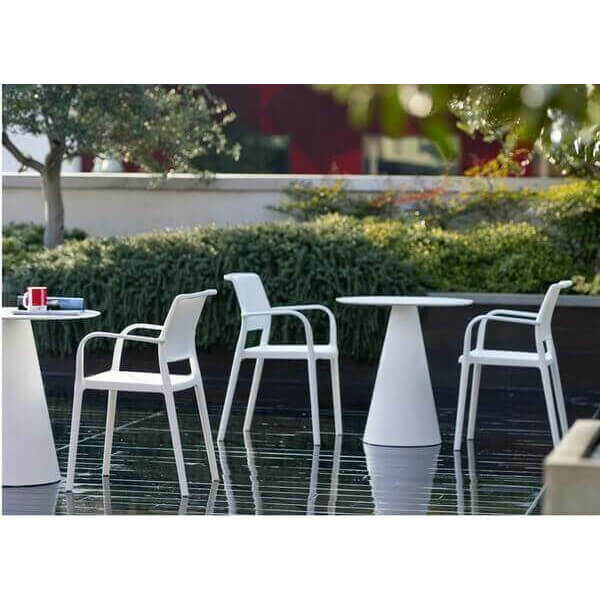 Its tapered legs in molded polypropylene gives it a design that seems to come from the future. 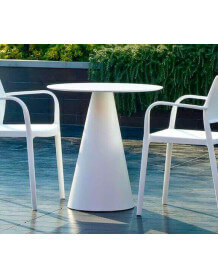 This model has a round top in very thick laminate compatible with outdoor use .